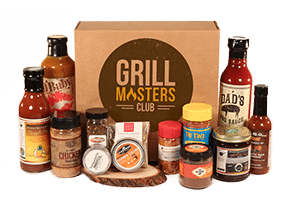 We are taken this meaty classic to a whole never level. 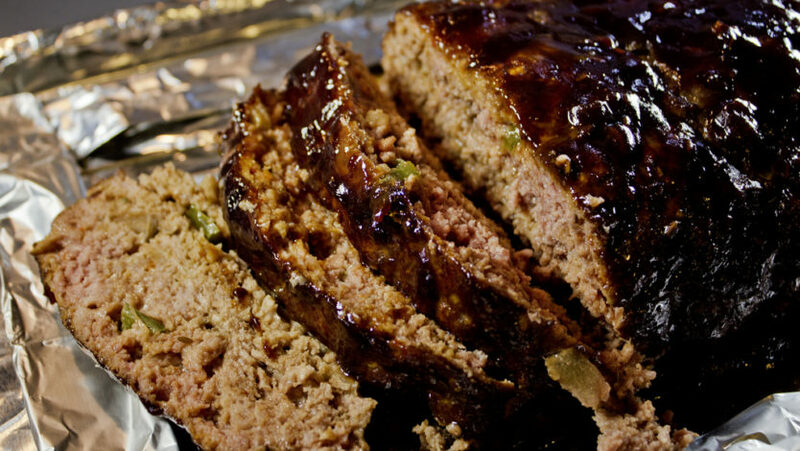 This Monster Smoked Meatloaf recipe is packed full of flavor and cooks in the smoker for an even heartier dish. Mix salsa, eggs, onion, barbecue sauce, mustard, ketchup, Parmesan cheese, sriracha sauce, soy sauce, malt vinegar, meatloaf seasoning mix, salt, garlic powder, and black pepper together in a large bowl. Stir beef and sausage into salsa mixture until thoroughly mixed. Add enough bread crumbs to bring meatloaf mixture together. Line a container with plastic wrap. Pack meatloaf mixture into the container. Chill until set, 3 to 4 hours. Preheat smoker to 250 degrees F (121 degrees C) according to manufacturer's directions. Line a wire rack with aluminum foil. Position in a cake pan lined with aluminum foil. Use plastic wrap to lift meatloaf onto the prepared wire rack. Smoke meatloaf until no longer pink in the center, about 3 hours. Combine barbecue glaze, barbecue sauce, mustard, ketchup, and Worcestershire sauce in a small bowl. 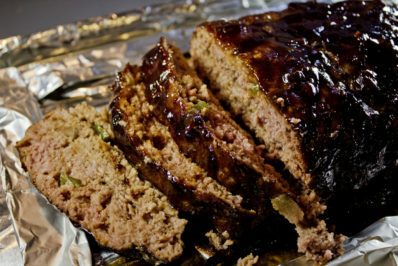 Baste meatloaf with topping. Continue smoking until an instant-read thermometer inserted into the center reads 185 degrees F (85 degrees C), 1 to 2 hours more.